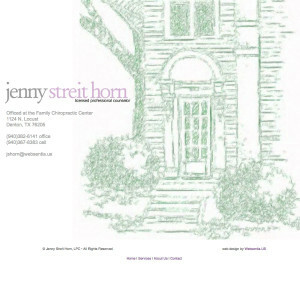 Jenny Streit-Horn is a Licensed Professional Counselor and LPC Supervisor. Dr. Streit-Horn offers psycho-therapy to individuals of many ages and backgrounds, helping them to process the issues that challenge their daily lives. Websentia Web Services created this website using basic HTML and CSS and provides hosting, email, and search engine optimization services.